Getting motivated to be our best writing selves in the new year! I’m ready to get rolling on my writing projects again. But how to make this year different? I’ve got a few simple tips to get make your writing more productive and satisfying. I got out a sticky note and paraphrased that quote and stuck it on my desk. If you are blaming yourself for not writing, definitely read her post for some spot on encouragement. This year, you are the kind of person who finishes their book. Another new tweak on writing is to think of this book that you are writing as the first in a series or the first of many books that you will write. In other words, this book isn’t that special. It is just number one of many you will write, if you can only get this one done you can get to all the other juicy tomes in your career. Think about yourself as a growing writer. You don’t have to already be perfect. Be ready to start now on building finished books, getting them out there, and writing another one. You will get better with each one. I’m getting very excited about my fourth novel being that NY Times bestseller and allowing myself just to write the first one so I can get there. Another tweak to try is to decide to write on the novel for one good month. Here are my good months for writing. I recommend January, February, March, April, October and November. These are the least demanding months for me. Bonus points for writing in the early morning dark before the day gets started. This year, I learned a lot by doing National Novel Writers month (in November). I started off by using 750words.com. I love the visual encouragement that comes from achieving your 750 words on this site. When I aim for 750, I usually end up with 800. Some days, I don’t make the quota, because I need to regroup to feel where the story is going next but that’s okay because…. Writing for a month helped me learn about how my creative brain works. For instance, I found that a scene or character might come and then a day or two later, I’d realize the scene/character was “off track.” I’ve learned to allow myself to think of those scenes as Place Holders, where they contain a clue to what the story needs, but it might need to unfold in a different way. The final tweak is a combination of the rest. Basically, when you are writing, treat yourself with respect, kindness and confidence. Those backward sentences and stalls are all part of the process. You and I are writers that will keep going, even if our sparkly new project takes some detours to get to the finish line. 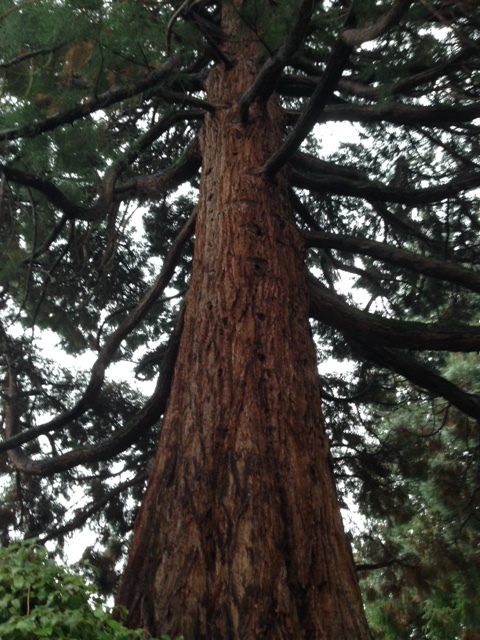 I’ve recently become intrigued with the idea and practice of mindfulness. A couple of my friends and two of my favorite relatives recommended this to me. Of course, I realize that mindfulness practice is most likely included on the full list of Stuff White People Like along with hummus, Bob Marley and having two last names. Here I am, following along with the white tribe, as usual. 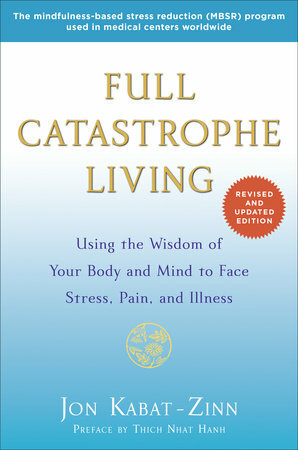 Slightly embarrassed by that fact but determined, I set out to find what has been described to me as the definitive book on mindfulness: Full Catastrophe Living, by Jon Kabat-Zinn. (Notice the two last names?) When I first heard that title, I scoffed. Really? Do I need to focus on the full catastrophe that is my life right now? Not exactly what I’m after. I’d rather be focusing on the beautiful and positive things in life, finding mindful positive moments amidst the chaos. I wonder if the word catastrophe has a definition that I’m unaware of. so I look it up. Nope. it’s just as I thought: (1) A terrible disaster or accident, especially one that leads to great loss of life; or (2) Total failure: an absolute failure, often in humiliating or embarrassing circumstances. Even the theater definition: (3) Resolution of plot – Concluding part of the action in a drama, especially a classical tragedy, when the plot is resolved, left me cold. My life feels a little like a tragedy right now — that’s why I want to focus on something else! I thought mindfulness was a positive practice. Why does this book have such a terrible title? Despite my reservations about the title, I search for the book during my usual Friday sojourn to Elliott Bay Books. A bookseller directs me to the correct shelf and hands the book to me with some sort of knowing look before making his way back to the Information Desk. Hmm, if there are less appealing book covers, I haven’t seen one recently. This book looks as dry as the owner’s manual for a refrigerator — without the pretty picture of gleaming stainless steel. And it’s heavy. Now, I like long, serious books, books I can get lost in. This book though, along with its title, seems to weigh me down rather than lift me up. Nevertheless, I do what I always do to test out a potential read: I read the first sentence, the first page. In this case, not a gripping line anywhere to be found in the long and dry introduction, only an exposition on how the author is really quite a big deal in the area of mindfulness. Okay. Good. Where does the book start? After paging through the Introduction and many vignettes about various individuals whose practice of mindfulness has changed their lives, I finally get to something that draws me in — about fifty some odd pages in. I close the book and sigh, still holding onto it. I want to want this book, but I’m just not feeling it. I check the price and place it back on the shelf. I simply cannot justify forking over twenty-five dollars for this book that leaves me so cold. As my gaze drifts back to other books in this section, I notice a small powder-blue book sitting on the shelf facing outward. Tiny flecks of gold dot the front cover and call to me. The urge to hold this friendly book is strong. So I pick it up and smile: Small Victories: Spotting Improbable Moments of Grace. Now this is an appealing book! 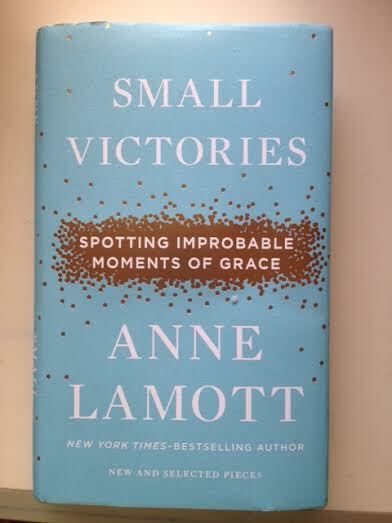 And it’s written by a favorite author, Anne Lamott. I open it and find it’s surprisingly beautiful inside too. The text is blue on creamy white paper, and before any introduction, there printed on an early page is a Billy Collins poem. My smile widens as I read In the Evening, a lovely poem evoking a contemplative mood and a mindful moment. Perfect! I sail to the checkout counter with the promise of this little gem propelling me forward like wind at my back. I can’t wait to read the Anne Lamott essays but can’t help wondering if this experience proves that I’m just a pawn in some publisher’s marketing plan. After all, I purchased a completely different book from the one I went looking for simply because I was drawn to its cover and title. It’s true. But I could never choose Full Catastrophe Living over Small Victories — I’m not depressed enough! Maybe that proves the genius of the marketing team anyway. I was simply the wrong demographic for Kabat-Zinn’s book and the right one for Lamott’s. Okay, I’m fine with that. But I think what’s really going on here is that, as an author, I place unusual importance on titles and book covers. 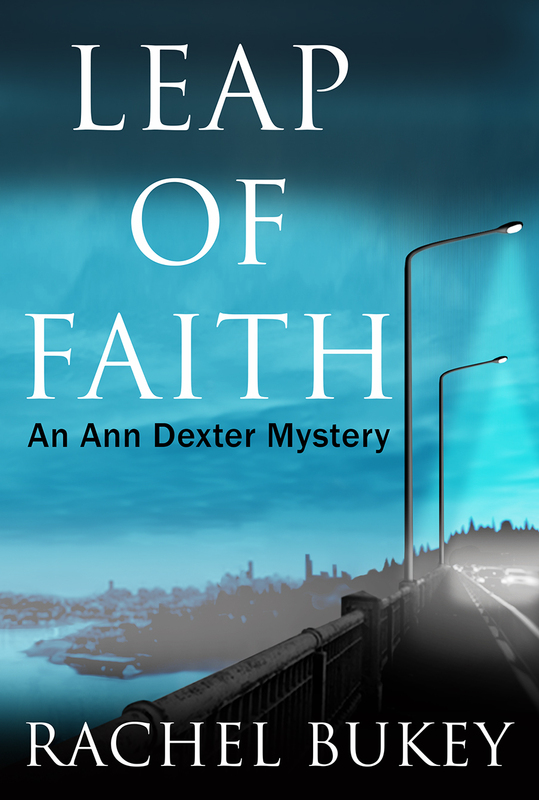 I certainly spent many hours fretting over the title and cover of my first mystery novel: Leap of Faith. It’s not a terribly original title I know (just try searching for it) but that title definitely fits the plot. And the title of the sequel, still not completely jelled in my head, has changed three times now. Also, because I was lucky enough to be published by a small local publisher, I had some control over the cover and changed my mind a ridiculous number of times over that too. The takeaway here is nothing new for writers. Book titles and covers are so important! Having some say about these two things seems crucial. And yet, authors published in the traditional way have little or usually no control over the cover. I’ve heard some pretty funny stories from writer friends about covers that may have ended up looking great but have nothing to do with the novel inside. Titles too can be changed by agents and publishers. So, what to do? It’s a conundrum. But I think the mindful way would be simply to be happy that your book has been published and is making its way in the world. Who knows, someone may pick it up in a bookstore sometime simply for the promise of what’s inside, even if what’s inside isn’t what she was originally looking for. C’est la vie. And, because I want to be like Anne Lamott, I’ll leave you with a favorite Billy Collins poem about books. 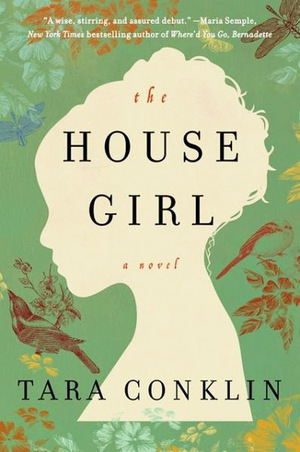 Go, little book, out of this house and into the world carriage made of paper rolling toward town bearing a single passenger beyond the reach of this jittery pen and far from the desk and the nosy gooseneck lamp. It is time to decamp, put on a jacket and venture outside. time to be regarded by other eyes, bound to be held in foreign hands. So, off you go, infants of the brain, with a wave and some bits of fatherly advice. stay out as late as you like, don’t bother to call or write, and talk to as many strangers as you can. 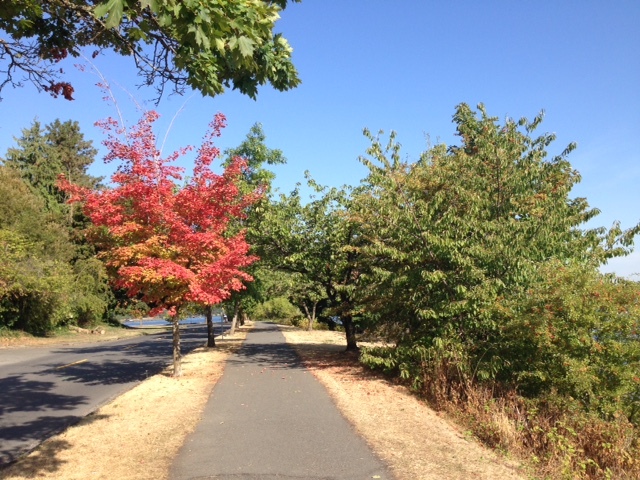 I love any reason to begin again, and the last best one of the year is the start of school. I’ve walked past my writing space all summer looking wistfully in at the books, piles of clutter and the welcoming little desk that I’ve rarely sat at. I’m hoping that finally the wheel has turned and I can get back to having a schedule that allows for more dedicated writing time. It takes some effort to get the pump going again, to wind up the clock, to get up to speed on the merry-go-round, and that is the spot that I’m at now. One of the first things I did when school started last week, was to get out my day planner that had been buried under stuff all summer. I love being able to see my day in chunks and the Poetica by At-a-Glance has the format that I like the best. This one has the day arranged in a vertical format with lots of room, so I can fill each hour in with the things I need to do. To get in a writing mood, I’ve been listening to podcasts about writing and setting up habits. I recently got some ideas from Shannon Ables’ podcast about setting up an efficient desk away from home. 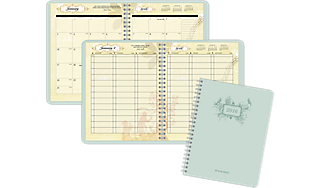 She mentions using a planner as well. Shannon Ables’ podcast, the Simple Sophisticate, is a great way to get yourself motivated to move forward on all sorts of projects. This podcast is top-quality and I look forward to each weekly installment. Her blog is also amazing and inspiring. Shannon uses a pen/pencil and a Franklin planner. I have to agree that hand-writing a list on a piece of paper is very satisfying. Or maybe its the part where I boldly cross off the things I have accomplished. I like having lists on my computer calendar as well, but I’m a sucker for well-designed paper products. 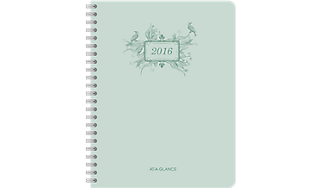 I love planners with gorgeous pictures too. I’m aiming to be actually writing pages on my novel during the sweet spot from mid-October to mid-November. To effectively use my planner, I’ve got to make sure to assign a block of time to writing, not just walking our dog Buster and going to the dentist. After all, National Novel Writing Month is coming in November and I don’t want to miss the energy around writing that Nanowrimo generates. Barring any new surprises or unexpected chores, I expect to be up to speed by then, whirling effortlessly around the merry-go-round and cruising so quickly that even the duties of the winter holidays can’t stop my writing momentum. I’m hoping the planner will help give me the extra push I need. I have just been through the most challenging several months of my life so far. Without going into all the gory details, suffice to say that facing a loved one’s grim health diagnosis, medical emergencies attendant to that, spending way too many hours in hospitals and medical clinics, together with selling one house and buying another, then moving from one home to another with an interim four-month stop living with relatives (I love you two!) and putting most of my worldly possessions into storage, then packing up and moving a law office at the same time, has sent me very close to the edge. 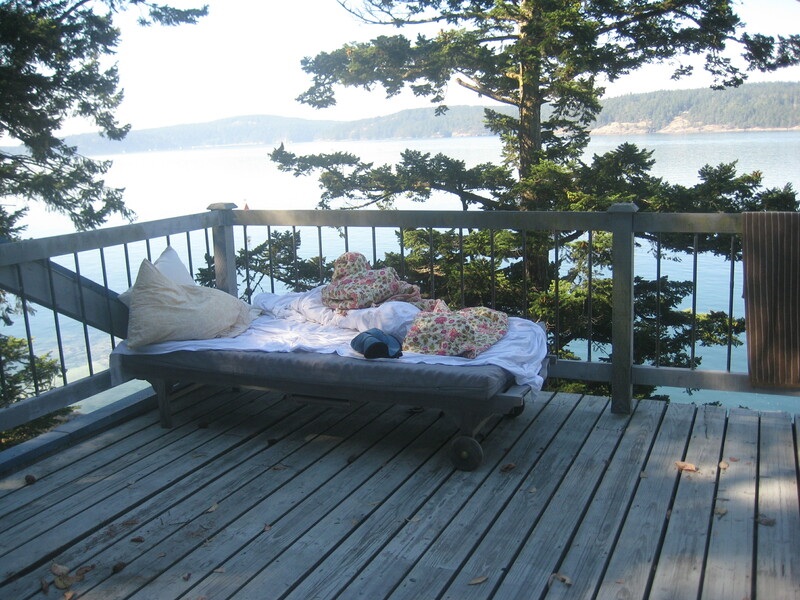 There is a limit to what one person can handle and, while I did not take to my bed in desperation, I wanted to. Often. But let’s move on. Because moving on is what keeps us going. This morning, eight days after our official move-in to our new home, I finally unpacked those little doo dads that hold shelves into bookcases. Mind you, I’ve been unpacking boxes for seven days and seven nights and feeling weighed down by the sheer volume of stuff we still own— even after reading the tidying up book and dong my best to only hold onto things that sparked joy! (See blog post of May 2.) But here I am with the reality of a life lived with so much joy! Of course I kept the baby/toddler clothes that my mother (long since gone) sewed with love for my oldest daughter. Of course I kept the camping gear, even though I no longer like to sleep on the ground but don’t want to admit that. And, of course I never got to that project of going through all the boxes of photos and scanning them to manageable DVDs! Tomorrow is another day, as Scarlett and I like to say. placing the first books on the shelf in my new office — the one with the great window facing a boulevard and beautiful homes on the other side. Did I mention, I LOVE our new house and especially this Mt. Baker neighborhood? I digress. So, which books to place on the very top shelf of my bookcase? Well, of course I chose my writing friends. By that I mean those writers I love who have written books on writing that I have turned to over and over again. First? Jane of course! 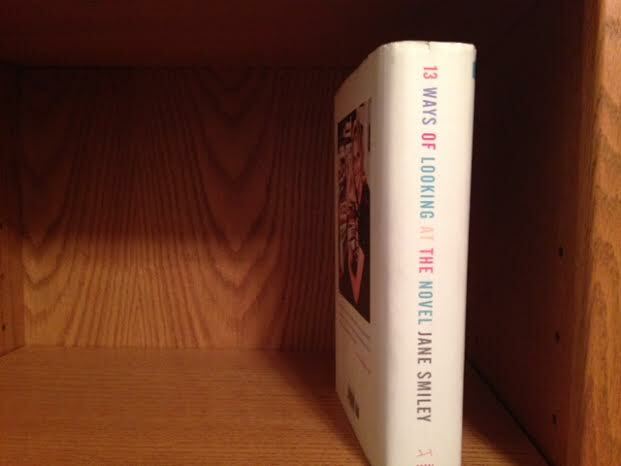 Jane Smiley is my best writer friend. 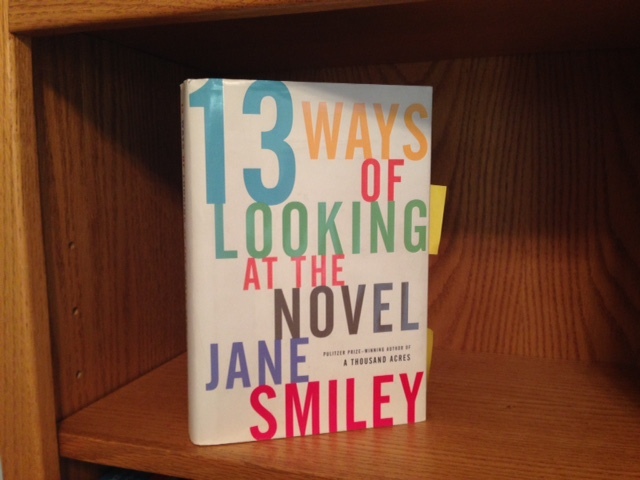 So with much joy, I place 13 Ways of Looking at the Novel on the top shelf. This makes me smile. My husband peeks into the room and notices: This is the first smile I’ve seen on your face in days, he says. I hold up the bag marked Office Bookshelf Hardware and he smiles back and leaves me to it. 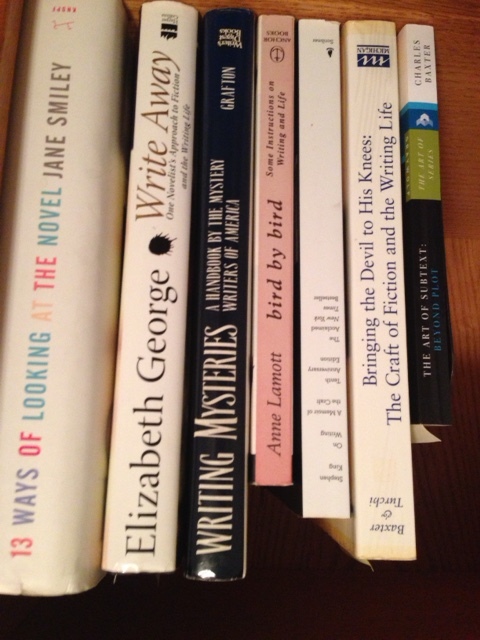 Next I choose Anne, Elizabeth and then Sue (Lamott, George and Grafton.) 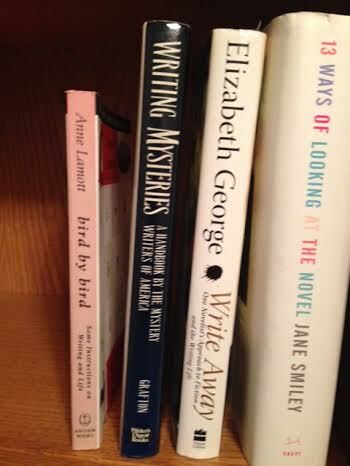 My smile widens as I feel the energy of these favorite writer girlfriends on my shelf. So now I’m ready for a few of my most-loved guys. I happily place Stephen next to Anne, then Charles, then Oakley to round things out. (King, Baxter and Hall.) I have half a thought about what a fabulous dinner party this would make, then admit that I’d be too shy and in awe to say much at any gathering of high-powered authors. Like the time I met Jane Smiley at a book reading at Elliott Bay Books here in Seattle. I had bought a copy of the book she was promoting, and also carried with me 13 Ways of Looking at the Novel, which I asked her to sign because, I gushed, “This one’s my favorite!” Jane looked up from her signing task and smiled, “That’s my favorite too,” she said with a kind and knowing look. And I was tongue-tied but managed to comment on how much I’d enjoyed her selection of the one hundred novels she read in preparation for writing that book. I mention The Decameron for some reason which now escapes me and she suggests I read it so I promise I will. And I will Jane, I will! So now I face the joyous task of unpacking the rest of these boxes of books and deciding where to place them on the shelves so empty of books, but so full of possibility. And I think I’ll take my time about it. There’s no deadline after all. And next, if only we could unpack a medical miracle. That would really spark some joy. I’m moving. Not out of Seattle, but to different house in a new neighborhood. Any of you who have been through this process probably had a reaction to that first sentence. Maybe a negative one because moving is hard, and it’s emotional. But moving is also exciting, right? It’s the beginning of a new life phase. Moving closes one chapter in your life, but also opens up new opportunities. 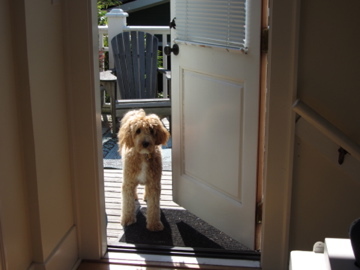 Moving means meeting new neighbors, but also saying goodbye to your favorite neighbors. 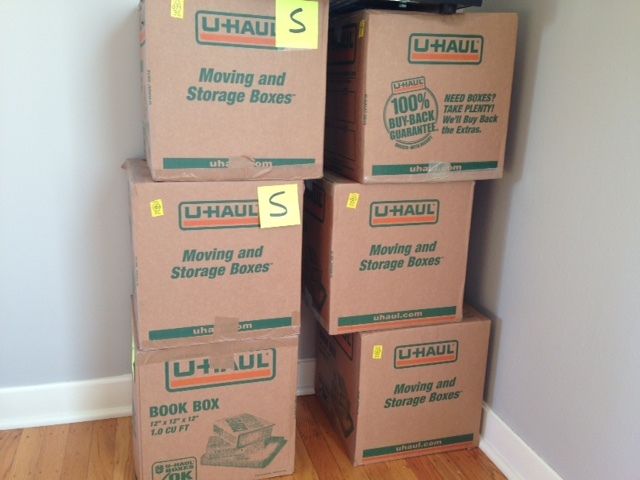 Moving is physically draining and emotionally exhilarating. Either way, it’s stressful. No doubt about that. And finally, moving is an opportunity to decide what things you really want to keep and what things you need to let go of. Going through and packing up stuff is what I’m really interested in here, and it’s the subject of a tiny bestselling book, the life-changing magic of tidying up, by Marie Kondo (Tokyo’s newest lifestyle phenomenon!) That this book has been a number one New York Times bestseller here in the United States — where we probably accumulate more stuff than anyone else on the planet — is not surprising. Certainly, no other country in the world spends as much on consumer goods. According to the Self Storage Association, a trade group which monitors such things, our country now possesses some 1.875 billion square feet of personal storage space. One 2005 survey found that one in eleven American households owned self-storage space—an increase of some seventy-five percent from 1995. I can only guess at how much those numbers have increased in the last ten years. I have never rented a storage unit and have never wanted to. Until now, that is. In this crazy Seattle real estate market, it’s not possible to buy a home contingent on the sale of your current home. That quaint practice is long gone — gone before the first real-estate bubble burst in 2009 and a laughable prospect in the hot seller’s market we’re now experiencing, where home prices are higher than ever but the inventory is extremely low. This means that my husband and I must pack up all of our earthly possessions and find someplace to store them until our house has sold and closed and we’re ready to buy another house. Hence my interest in Kondo’s book, which seems to spill off the tables in every bookstore I frequent in Seattle. Third Place Ravenna had several copies on display and a stack of them on the shelf below. It’s readily available at Elliott Bay Books. The Seattle Public Library owns 186 copies, all of which are in use, with 1009 holds. Everyone is reading this book and talking about it and since I must go through all of my stuff and decide how much I need to keep, I hoped it would help. When I first found this book online, I noticed it was cataloged under the subject of “Buddhism and Zen Philosophy.” Interesting, right? One person I talked with told me she felt tricked when she realized that some of the book’s tenets are based on Buddhist thought. But for me, headed into the process of sifting through not only my clothes, but also books and photos and mementos collected over the years, I figured the Zen aspect would actually be lovely. I especially like Kondo’s idea that one should touch every piece of clothing and every object in one’s home and decide whether or not it sparked joy. 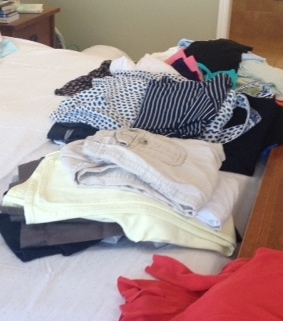 And, too, I like the notion that you must do this all at once and not bit-by-bit so that when you empty all of your clothes onto your king-sized bed (as I did) you cannot delude yourself into thinking you have less than one ridiculously enormous pile of clothes that you rarely wear and don’t need. This makes it easy to begin the discarding process. I had a long, rainy afternoon to devote to this task and began it with gusto. After a while, though, I got tired. I wanted to either stuff these things back into the closet or into a box I’d move to my next house. But I kept reminding myself the promise I’d made, the one with which Kondo would surely agree: I would not move anything into storage and ultimately into my new house, unless I loved it. Unless, in Kondo’s words, it sparked joy. So I persevered. 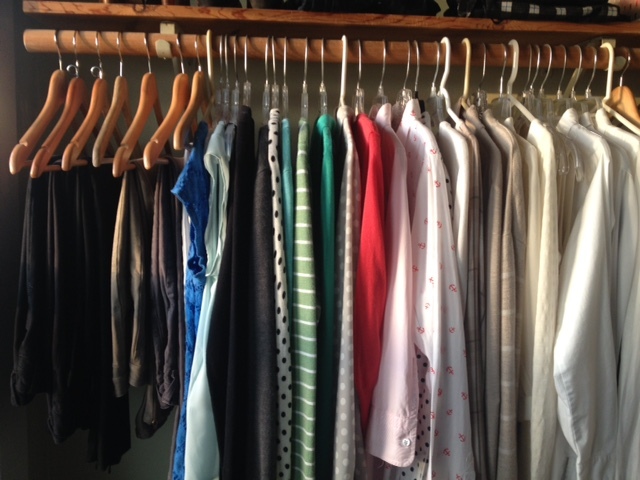 I ended up with two large plastic trash bags of clothing to donate and my closet looked great. And I felt lighter too, no longer weighed down by so much stuff. The physical act of hauling these huge bags into the car and dropping them off at my local Value Village made me smile. But that was just Phase One. When you move, you must actually touch each book and object in your home because, unless someone else is packing for you, it’s the only way to get those things from one place to the other. After clothing, I moved on to books. The books were harder. As a writer, I love books and have collected many hundreds of books over the nine years we’ve lived in this house. My husband, too, is an avid reader. We have three walls filled with bookshelves on three different levels of our home. But , as I handled each one, I was surprised to find that some definitely sparked joy when I remembered the pleasure of reading them, while others touched very different emotional chords. Some made me feel guilty: I got this book as a gift and should read it, or, this is a really interesting book, I’m definitely going to read it someday. I’d put those guilty books onto a different pile and not in the boxes to pack or the bags to donate. I’d re-visit them later. But, again, after a while I got tired and had to walk away. Tomorrow is another day. 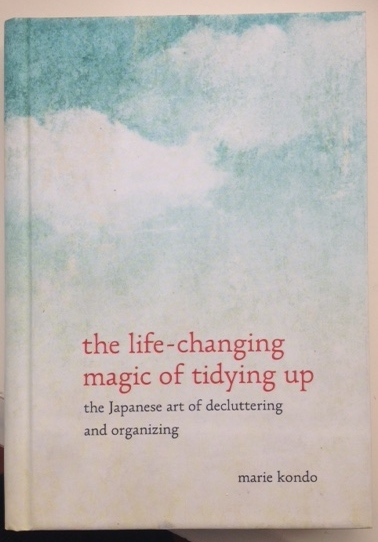 Which brings me to my biggest complaint about the life-changing magic of tidying up: Kondo is a dictator! She spends a great deal of time early on explaining how she came to the perfect system for dealing with the stuff of everyday life. 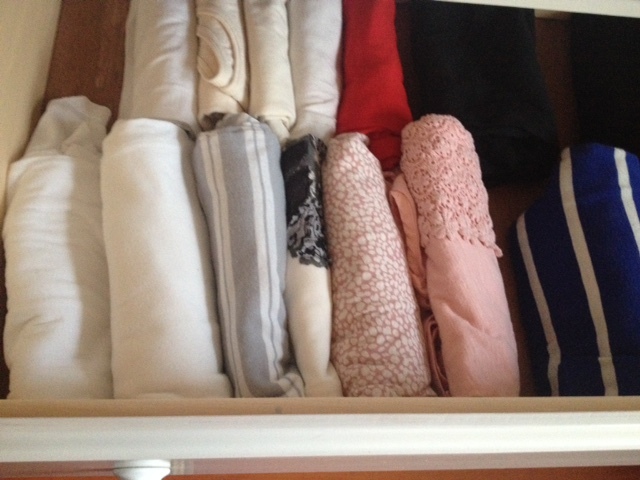 She tells her readers things like: you must fold your clothes just so and never, never roll your socks! Really? I do know how to fold clothes and sort of agree with her system but tell me not to roll my socks? That’s crazy! How would I keep them together? So at some point in the book, I started to resent the author. Again, packing up a large home is exhausting and Kondo’s proclamations started to sound like a harangue. I had enough to worry about. And, hey, isn’t this person much younger than me? How dare she tell me that I must proceed through these onerous moving tasks in a particular way — her way — or I would fail, or at least run the risk of sliding back into my naturally slovenly ways. Enough! I put the book down and continued with my own variation of Kondo’s system which worked pretty well. I have now made my way through most of my stuff. The house officially went on the market this week and I’ve had the moving truck haul off my precious things to storage. But only temporarily. I know that when we find a new house and the moving van arrives with my furniture and belongings I will be happy to have taken the time to touch each piece of clothing and each object and to have thanked those things I discarded for the joy they brought into my life. And I thanked Kondo for her little book, just as I tossed it in the “Donate to Seattle Public Library” bag. One more person has just been removed from the hold list. Excellent!